Gene Editing Drives into Dangerous Unknown Territory. The Royal Society of New Zealand, Te Apārangi, is inviting feedback on scenarios for the use of gene editing in the primary industry sector . 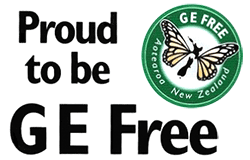 Are they leading New Zealand agriculture and horticulture into dangerous unknown territory when they promote genetically engineered Gene Drives without regulation? New Zealand has developed in the laboratory plants and animals have reached a point where to get a return on the investments and patents commercialisation of the GMOs is the next step. However, it appears that the Crown Research Institutes and private investors are not willing to undertake safety studies to show that their GMOï¿½s are safe so they are launching a massive advertorial media drive trying to undermine the regulatory process. Gene drives are synthetically made enzymes made using laboratory procedures. They act like scissors, cutting out, altering, pasting, silencing and rewriting the cells information. These changes, when made in pest species, can persist in nature until the organism is driven to extinction. There are unknown and unconsidered dangers on the impacts if the GE constructs spread to non-target populations. Evidence in the last few years show that changes to organisms using genetic engineered gene drives are not precise or easy to develop and have many unknown risks to the cells and the developing organism . These change are permanent, and inherited. When eaten the constructs can be absorbed by the gut resulting in abnormalities in blood and organs as well as causing auto immune reactions. The EU has declared Gene Drives as GMOs, so has New Zealand law, requiring them to be regulated. We call on the Government to not fall for the hype. It is imperative that all advanced technologies derived through in-vitro techniques are fully regulated under the HSNO Act and have full governmental oversight. Ban.ï¿½ Independent Science News. https://www.independentsciencenews.org/environment/gene-drivesa-scientific-case-for-a-complete-and-perpetual-ban/.